African Hunting Dogs and Sealions. 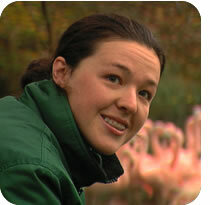 I studied zoology in Trinity College and then applied for a job at Dublin Zoo. I was lucky to be taken on as an assistant in the African Plains working with the giraffe section. Yes, a horse, 2 love birds, a cat and a dog. When the Waldrapp Ibis finally bred after 4 years. It was very exciting as the species is critically endangered and very important to the international breeding programme. Working with a wide variety of animals and caring for their well being and health, both mentally and physically.